One of the most exciting weekends in Hot Springs is almost here! 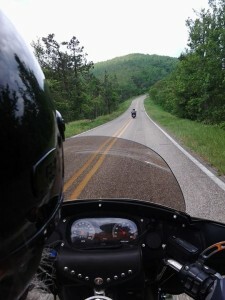 The 2015 Hot Springs Rally will be held Sept. 10-12, 2015. Motorcycles of all makes and models will take to the streets of Hot Springs and the surrounding area. Entertainment headliners will be .38 Special on Friday and Travis Tritt on Saturday. Spectators will crowd Central Avenue on Friday night to watch the parade of bikes at 6pm. Other popular events are 2 poker runs on Friday and Saturday, an antique motorcycle show and field events on Saturday, and of course, the live concerts. (Check the full schedule for times and locations). Rally tickets are available with a variety of options, ranging from $5 for the Vendor Mall only to $50 for an all access weekend pass. Even if you don’t own a bike, you can still enjoy many of the events as a fan or curious onlooker. After you’ve enjoyed your fill of “rumbling”, return to the peacefulness of Tiffany’s Bed and Breakfast. We’ll make sure you’re well rested and ready for another day of rally events!